It’s the first full day of spring — winter is losing its grip on the Maryland landscape and warmer weather is tangible. The honking of migrant Canada Geese has been replaced by the chirping of ospreys, heralding a changing of the guard. Although the Western Maryland counties may be the last to give up to winter’s grip, those living there are using it to the last to enjoy family fun while enjoying the outdoors. The arrival of spring means that every day from this point on, we will gain two more minutes of daylight. More daylight equals warming waters, which helps drive bay gamefish out of their winter haunts towards their spawning grounds. Over the next week, except for Sunday and Monday, cool day and night air temperatures will keep waters from warming too quickly. Also, expect windy conditions Thursday through Saturday, along with a chance of rain Thursday and again early next week. The Maryland portion of the bay continues to have suitable oxygen conditions from surface to bottom. Bay salinities are still below average from the continued rainfall. From the National Oceanic and Atmospheric Administration buoy at Point Lookout and recent Maryland Department of Natural Resources monitoring, main bay surface water temperatures are holding around mid 40s with some tributaries registering slightly warmer. Shallow, dark-bottomed rivers and streams and downwind areas on a sunny day will warm faster and can hold water temperatures at or slightly above 50 degrees. In addition, there are still slightly warmer bottom waters so anglers may want to scan these deeper main bay areas for fish. Expect reduced but improving water clarity on the Potomac River downstream to near the Wicomico River as a result of above-average rainfall. In the upper bay from the Aberdeen area to the Elk River clarity will remain reduced as a result of Conowingo Dam spilling water recently. Expect normal flows for the Potomac and smaller rivers and streams entering Maryland’s portion of the bay. There will be above average tidal currentsall week as a result of the full moon on March 21. The major focus is white perch that are moving up the major tidal rivers, as post-spawn yellow perch move down river. The white perch are being found in the upper reaches of the tidal rivers where they spawn and the female perch are bursting with roe. The upper regions of the Bush, Chester, Magothy, and Northeast rivers are just a few locations offering excellent white perch fishing. Minnows are one of the best ways to target the larger white perch and there is the good chance of catching post-spawn yellow perch moving down river at the same time. If you find smaller white perch to be pesky, switching to a shad dart and a piece of minnow for a teaser often works well and will last through the onslaught of small perch. Grass shrimp and bloodworms also make excellent bait but your supply can quickly disappear when the action is hot and heavy. The lower Susquehanna River is running a bit brisk at the moment as six flood gates are open at the Conowingo Dam. Water temperatures will be a bit cooler in the river with stained conditions. Those fishing for yellow perch in the river have also been catching a few small male striped bass in the river. The white perch spawning runs are the No. 1 show going in the region’s major tributaries. The yellow perch are about spawned out now and are heading downriver, as the white perch pass them heading upriver to the spawning areas. One can expect most of the actual spawning to take place by the weekend as water temperatures have reached 50 degrees or more in many areas. The upper Tuckahoe and Choptank rivers are two of the major spawning areas in the middle bay region on the eastern side of the bay; the Severn River also has a spawning run on the western side of the bay. Fishing with live minnows is a good way to target the larger white perch and post-spawn yellow perch. Crappie and chain pickerel can be part of the mix as they are attracted to live minnows as well. Casting shad darts tipped with a piece of minnow or bloodworm works well and small spinnerbait type lures such as beetle spins will entice perch to strike. Grass shrimp and bloodworms fished under a slip bobber in shallower waters and bottom rigs in deeper areas will also catch plenty of perch. Catch-and-release fishing for striped bass in the main portions of the bay is beginning to gain more interest from anglers anxious to spend some time out on the water. Striped bass can be found along channel edges of the bay and jigging has been a favorite way to target them. The Calvert Cliffs Power Plant warm water discharge pipe is attracting more catch-and-release fishermen each day as large female striped bass are moving up the bay towards spawning rivers. Drifting in the warm water plume and jigging with large soft plastic jigs or butterfly jigs is the ticket to this exciting action. 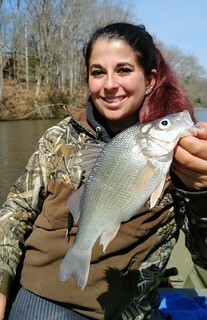 White perch spawning runs top the list of fishing action – it is happening as we speak in the major tidal rivers and creeks. On the eastern side of the bay, the Nanticoke, Wicomico and Pocomoke rivers all have white perch spawning runs and now is the time to get out there if you wish to get in on the action. Also of note is Marshyhope Creek, which is a tributary of the Nanticoke and one of the major spawning areas on the river. Fishing with minnows close to the bottom, either under a slip bobber in shallower waters or on a drop shot rig or bottom rig in deeper areas. Bloodworms and grass shrimp also make fine baits but will attract every white perch nearby including small ones. Casting shad darts tipped with a piece of minnow and small spinnerbaits are also good ways to target the perch. In some of the deeper waters below the spawning areas post spawn yellow perch can be intercepted. Crappie, catfish and chain pickerel will also be part of the mix. On the western side of the bay, the Patuxent River and the tributaries to the Potomac River all offer exciting white perch fishing this week. In the Patuxent River the white perch can be found in the Jug Bay area and up past the Route 4 Bridge, as well as major creeks feeding into the river. The Wicomico River in St. Mary’s County at Allens Fresh is always a favorite white perch fishing location; the Mattawoman, Nanjemoy and Port Tobacco creeks also have spawning runs of white perch. 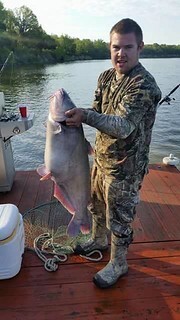 Fishing for blue catfish in the tidal Potomac in the Fort Washington area remains excellent. The same is true for the upper Patuxent River and the Sharptown area of the Nanticoke River. Fresh baits of gizzard shad or white perch have been common baits to use. A few boats have been testing the waters of the lower bay for large female pre-spawn striped bass heading up the bay along major steep channel edges. Planer boards and large parachutes and bucktails with the barbs removed are in order for this type of early season catch and release action. Jigging for smaller striped bass along channel edges has also been popular. 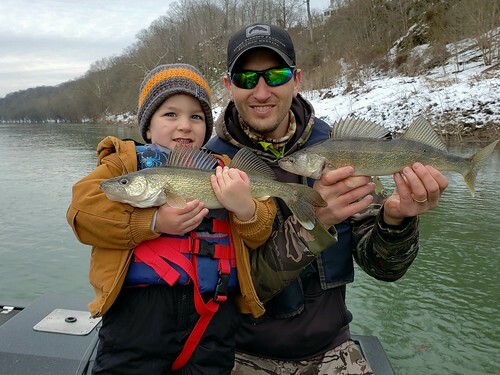 The department continues to stock many of the trout management waters designated as 0 Closure, Catch-and-Release or Delayed Harvest, offering plenty of fun fishing opportunities. The trout management waters designated as Closure 1 will be closed from until March 30, the Closure 2 waters will close on March 24 and will also reopen on March 30, the date most consider the opening day of trout season. Those wishing to enjoy plenty of trout fishing action in quality environments will target the special trout management areas where there are tackle restrictions such as catch-and-release fly fishing only, no bait or delayed harvest areas. These areas provide quality fishing when taking home fish is not a priority. Those new to fly fishing can enjoy plenty of action when fishing nymph patterns on newly stocked trout and good water flows. Warmer days are beginning to have a subtle effect on water temperatures in the reservoirs and ponds dotting the Maryland landscape. Fishing for chain pickerel continues to be excellent near shoreline cover such as fallen treetops, or sunken wood. 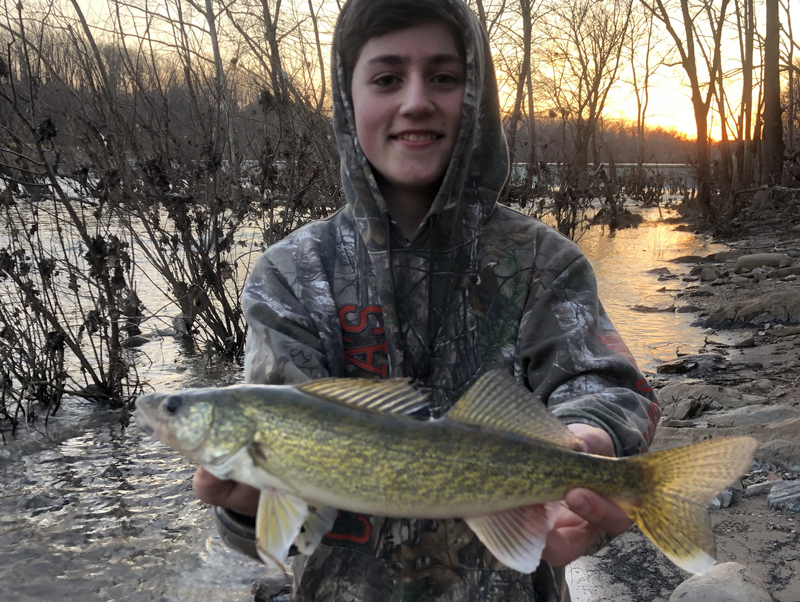 Many that have been fishing for yellow perch in the upper reaches of the tidal rivers have been enjoying the extra fun of hooking up with chain pickerel. Fishing for walleye continues to be excellent in the upper Potomac River. 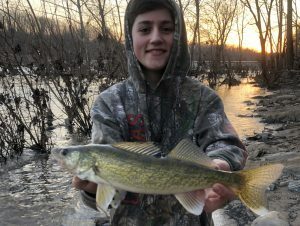 The walleye are very active and river levels are good. This is an exciting fishery and if you’ve been thinking of giving it a try, do not wait any longer — make plans to go fishing this week. Casting grub-type soft plastics and working them close to the bottom is one of the best tactic to catch them. There are many places to fish from shore so a boat is not absolutely necessary. Crappie fishing is about as good as it gets right now in the tidal and nontidal waters around the state. They can be found holding near structure in the form of fallen treetops, sunken wood, marina docks or rocky shores. Small minnows or jigs under a slip bobber in these deeper areas are a great way to catch them. Northern snakeheads are beginning to stir, although water temperatures are still a bit too chilly to entice them to strike topwater lures in shallower grassy areas. Fishing with large minnows under a bobber along shallow edges and deeper shorelines is perhaps the best way to catch them at this time. Casting swimshads or jerkbaits can also work well. These invasive predators can be found to some degree in most of Maryland’s tidal rivers, with the Potomac River and the lower Eastern Shore tidal rivers being two of the best places to fish for them. Warming water temperatures are causing largemouth bass to become more active and they are moving into transition areas between the deep waters where they spent the winter and the shallow areas where they feed during the warmer months. Target steep channel edges and sunken structure, such as wood, rocks or fallen treetops. Working soft plastic jigs, grubs, small crankbaits close to the bottom near these structure areas is a good tactic. Fish slowly and pause often as bass often follow a bait and will pick it up on a pause. 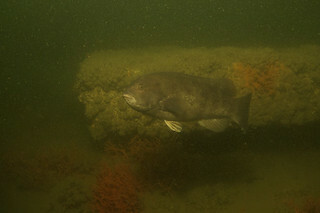 Fishing for tautog at the offshore wreck and reef sites continues to be the major focus in the Ocean City area. The boat captains on area party boats report the bite has been fickle from day to day, due to changing water temperatures. Some rather large tautog continue to be caught as well as a few limits around the rails. Many are using Jonah crabs to entice the largest tautog to bite, but green crabs continue to be the most common bait being used. There has been a little bit of striped bass action in the back bays areas, mostly near the Route 90 Bridge. Casting soft plastic jigs and working them in the current close to the bottom has been the most productive way to catch them. Almost all of the striped bass being caught are measuring under the 28-inch minimum size but are providing some fun catch and release fishing opportunities. 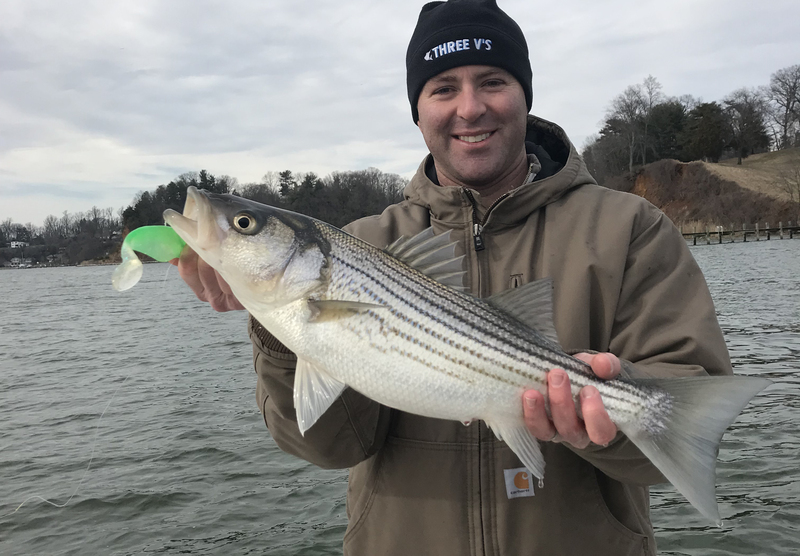 Maryland Fishing Report is written and compiled by Keith Lockwood, Maryland Department of Natural Resources fisheries biologist, who has produced this report since 2003. Keith is an avid outdoorsman who enjoys hunting, fishing, bird dogs, family and life on the Eastern Shore of Maryland.